LOC HIRE based in Bonnybridge specialise in the rental of welfare units, tower lights, fencing and event management. 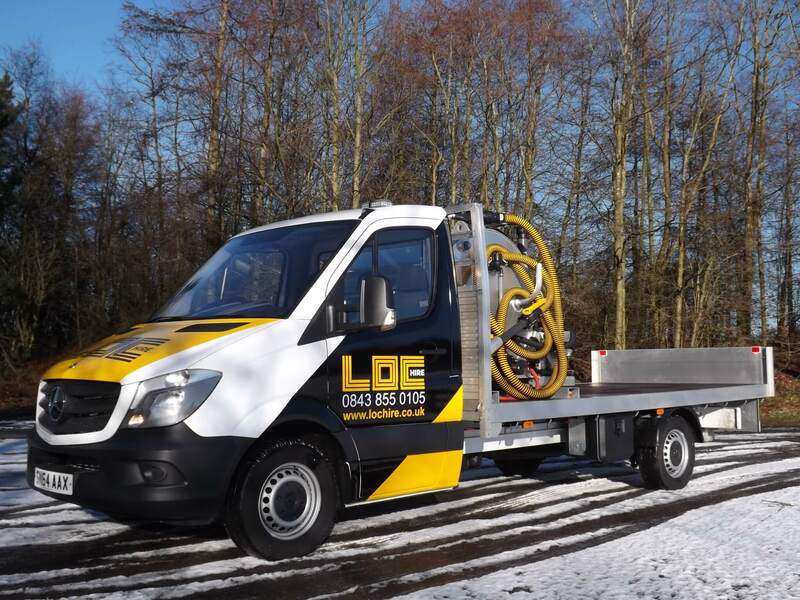 As a specialist hire company, they are committed to providing their customers with the highest quality products and services, an ethos that Alltruck can relate to all too well. Having worked with LOC hire for almost 4 years we do everything in our power to uphold the values that are also at the heart of our business, but don’t take our word for it, here is what LOC HIRE’s managing director had to say about us. Alltruck hire 3.5T Pick Ups and specialist Flatbed vehicles to LOC hire and provide maintenance and support on the rest of their fleet. Our partnership approach to everything that we do within our group of companies is key to our success and sustained growth. Competitively priced packages, reasonable off hire charges and quality vehicles backed by our experienced and friendly staff, all add up to what we believe is one of the best fleet services in Scotland. If you would like a more personal and supportive fleet provider then look no further, we are here to help. Alltruck are Scotland’s complete fleet partner but again don’t take our word for it, experience the difference and try us today. Call 08451 809 809 to speak with our hire team. We offer spot hire, flexible rental and long-term contract hire. Backed by Scotland’s largest mobile support fleet you can be confident that we will keep your fleet on the road.